All new or used motorcycles, mopeds, motorbikes, motor-operated tricycles and motorized bicycles, must be registered within 30 days of purchase. The process of registering and titling these motor vehicles is the same as registering a car. If you are a new resident in South Dakota, you must register and title your motorcycle within 30 days of establishing residence. A completed Form MV-608 (Application for Motor Vehicle Title & Registration). A completed Form MV-008 (Power of Attorney) if you allow someone to sign the registration on your behalf. Purchase order or bill of sale. If you are registering an out-of-state motorcycle, you will submit the sales contract. Documents to show proof of identity and residence. Once you submit the above documents and pay the applicable fees and taxes, you will be issued with a registration paper. You must have this paper with you whenever you ride your motorcycle. Your motorcycle registration expires annually. You will get a renewal notice informing you of the expiry date. The DMV uses the first letter of your last name to determine the renewal schedule. 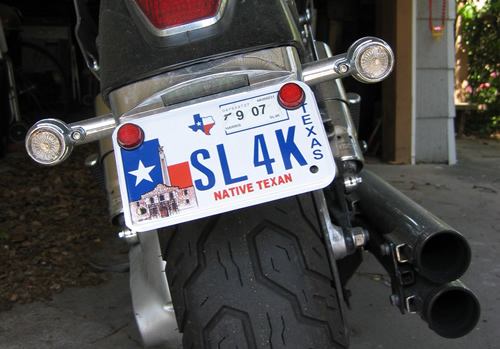 Motorcycle titling can be done at the same time of motorcycle registration. Again, this can be done with your local county treasurer’s office. You will need to pay the required titling fees too. For more information about South Dakota motorcycle registration, visit the state’s registration page.